This petition has been created by Graham W. and may not represent the views of the Avaaz community. 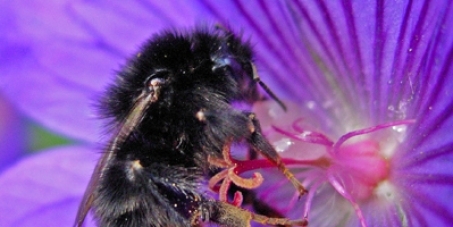 Most UK Bumblebee species are in steep decline; two species have gone extinct in recent years. Recent research revealed that 50,000 artificially-bred bumblebee colonies are being commercially imported into the UK each year. A recent report found that 77% of these alien-imported bees carried dangerous parasites as well as: viruses, bacteria and fungal diseases. More than 1,000,000 factory bred colonies are being exported world-wide, spreading bee-diseases and pathogens to every country on the plant. This is a recipe for extinction of native bumblebees around the world. These alien bumblebee colonies are largely being imported by Syngenta - a leading manufacturer of neonicotinoid pesticides, which many scientific studies have concluded are killing bumblebees in uncountable numbers.